How Does a Zombie Spend His Day? How does a zombie spend his day? 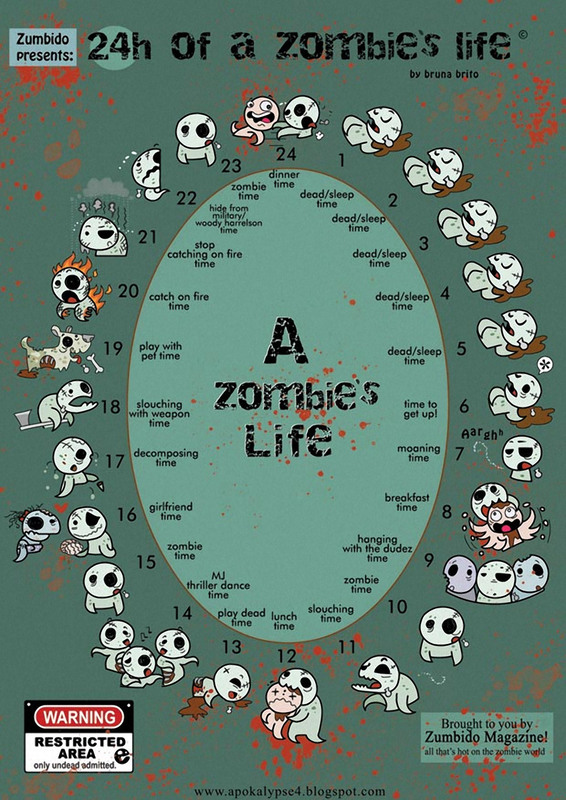 Artist Bruna Brito gives us this graphical view of all the things that make up a zombie’s busy day, created for Zumbido Magazine. How can they find the time for all that moaning, slouching, and decomposing? There are just not enough hours in an after death day!